Custom made badges (from 14p each) | Campaign! 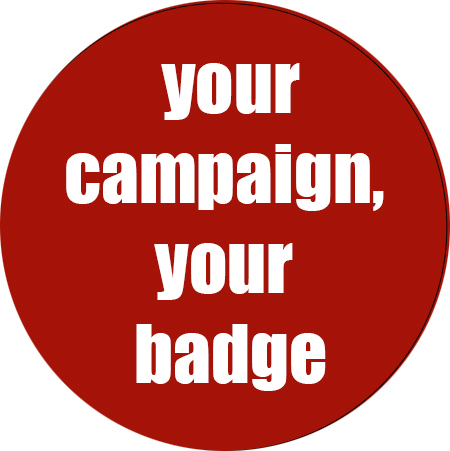 We can produce any 38mm badges for your campaign. You can choose up to five different designs. Download our design guide here, then email us your design. We can help with your design for a small fee – just send us any logos, pictures and text you want on your badge and we’ll send you some design suggestions. Please note that we require full payment before we start production.